Hair transplants are a revolutionary hair treatment that have freed men from the worry of hair loss. 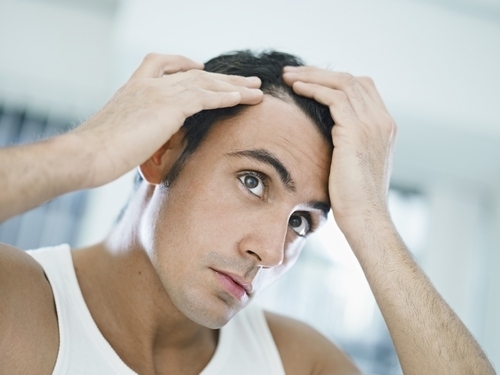 All stages of male pattern balding can be treated with hair transplants. Whether the patient has thinning hair or a significant bald patch it can be corrected with a hair transplant. A hair transplant is also a permanent solution to hair loss, because transplanted hair re-grows in the new area and is undetectable because there is no scarring. There are two types of hair transplant available, the Follicular Unit Transplantation (FUT) and the Follicular Unit Extraction (FUE) transplants. They both work on a similar principle of taking hair from the lower part of the head, that isn't prone to hair loss, and transplanting it into the scalp. The FUT transplant takes a strip of hair that is then separated into individual hairs and transplanted into the scalp. The FUE transplant takes the hairs one by one and transplants them into the scalp. The FUT treatment is better for covering large areas of balding and the FUE can be used for more targeted areas. These two hair transplant procedures can also be used in conjunction. There are many hair treatment clinics out there that offer hair transplant surgery. YouNew is a leading hair transplant clinic in Dubai. They provide FUT and FUE hair transplants as well as many other hair treatment procedures.